Posted byRonnie Hughes	 August 13, 2015 August 14, 2015 2 Comments on The Great Street? 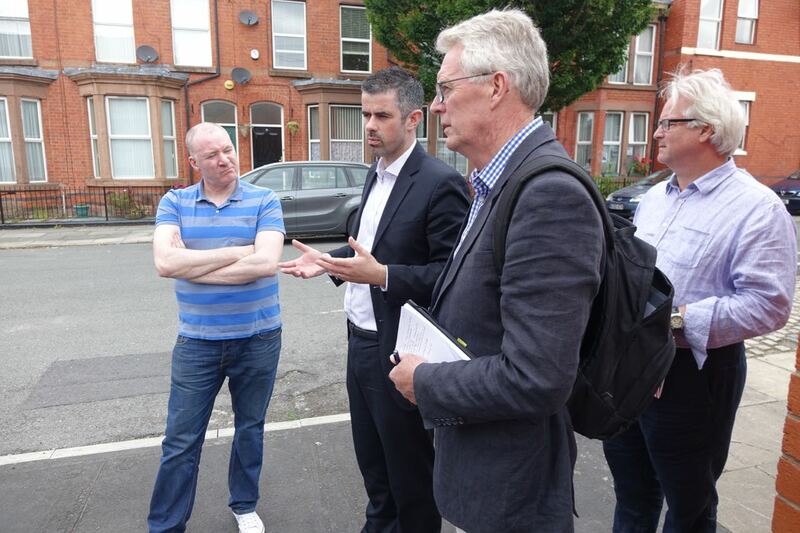 Cairns Street in Granby selected for possible ‘Great Street’ award. 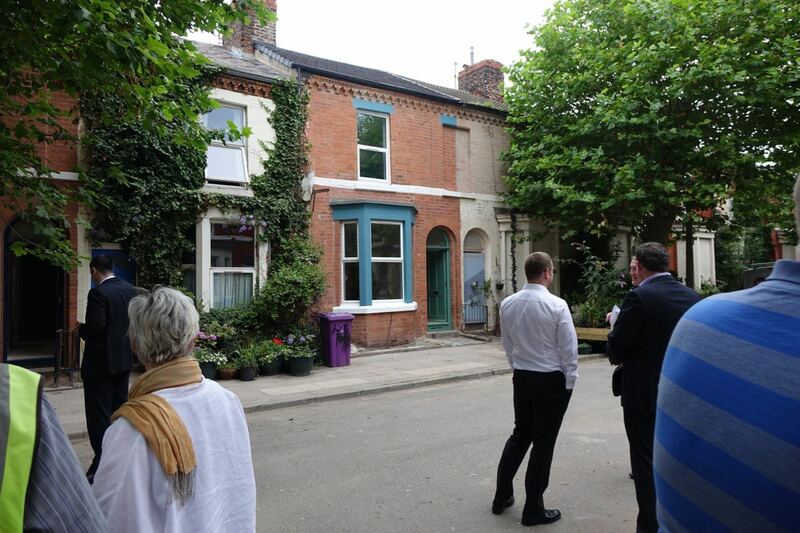 Unless you’ve been living under a stone or, even worse, not reading my blog posts, you’ll know that Assemble, the Granby 4 Streets architects have been nominated for the Turner Prize for their work with us. What might have escaped your notice is that we’ve also been nominated for something else. The Academy of Urbanism’s ‘Great Street’ award. This award covers the UK and Ireland and award nominations are made by members of the Academy, not by representatives of the streets themselves. And awards given cover places, neighbourhoods and towns as well as the one for individual streets. So we didn’t put in for it, but are of course delighted to have been picked. The two other streets up for it are Deptford High Street in London and Oliver Plunkett Street in Cork. 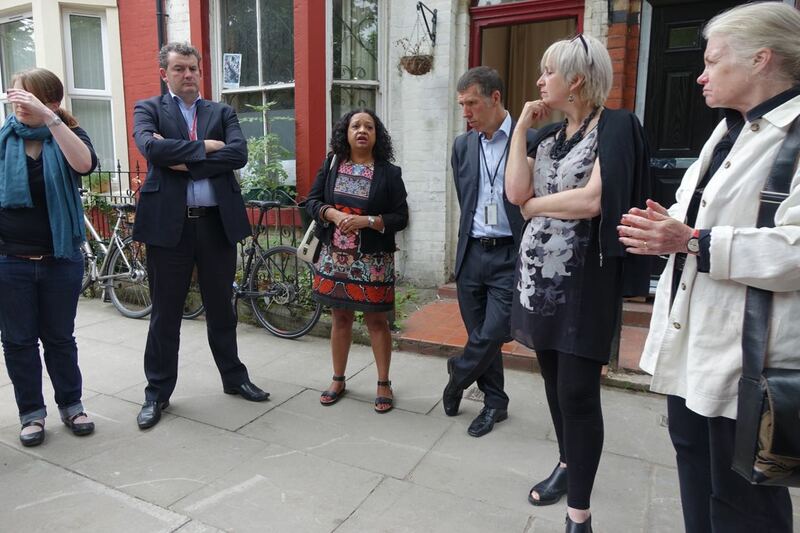 And today the Academy of Urbanism judges arrived in Cairns Street to take a look around and meet some of the people we’ve all been working with in the 4 Streets these last few years. 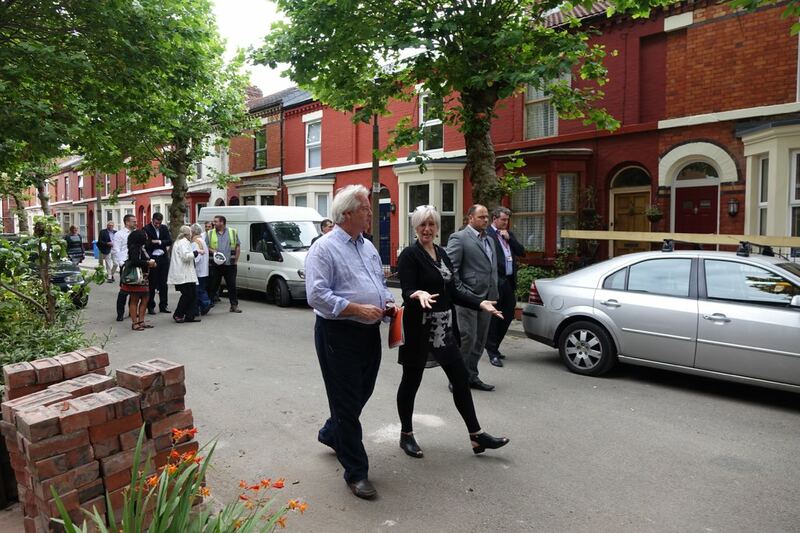 Being welcomed to Cairns Street by Erika Rushton, Chair of the Granby 4 Streets Community Land Trust. Erika talked about the ways local people have been literally ‘repossessing’ these 4 streets over the last few years, amplifying some of the points we’d made in the brochure (above) that we’d prepared for the day. 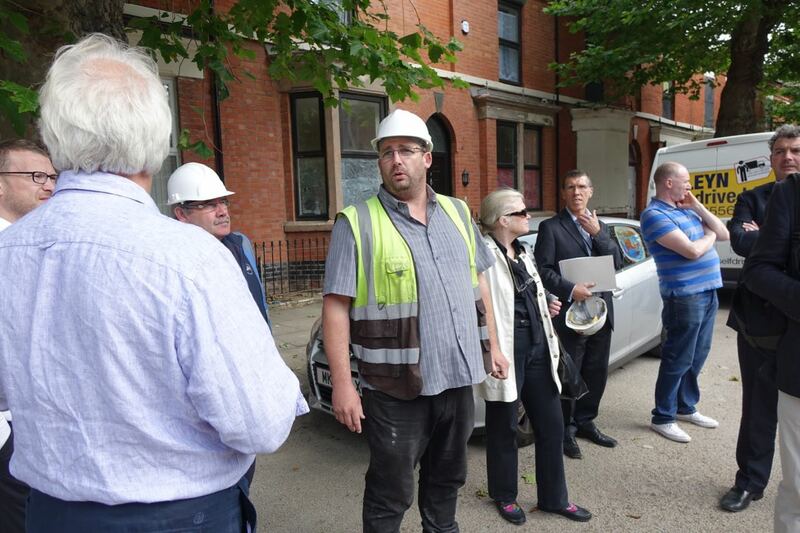 What can be seen in action on Cairns Street and its neighbouring streets today is entirely evidence of a collective vision, supported by collaborative and partnership working in govern- ance, planning, design and implementation. 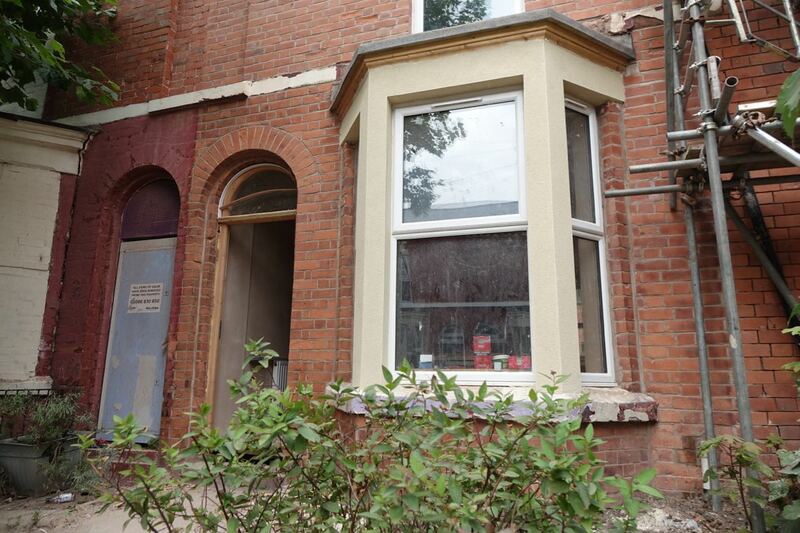 All of the empty houses in three of the streets are now on site, with the other street shortly to follow. 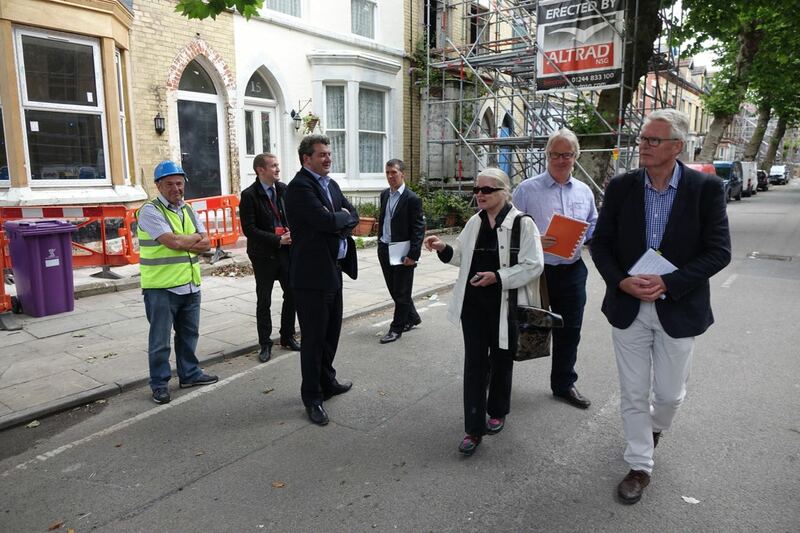 Soon after the Housing Market Renewal Initiative (that would have cleared these streets) was called off the residents of the 4 Streets got together and worked on a vision for the preservation and revitalisation of their neighbourhood. This included: a range of developers working on the area; a spread of tenures from social housing, through co-ownership, homesteading and a small co-op; a community land trust to be formed to provide permanent community stakeholding; bringing the corner shops back into use; and continuing the tradition of guerrilla gardening and street markets established to preserve and promote the area over this past decade and engage both former residents of Granby and people from the wider Liverpool in what is going on. Every element of this vision is now happening. 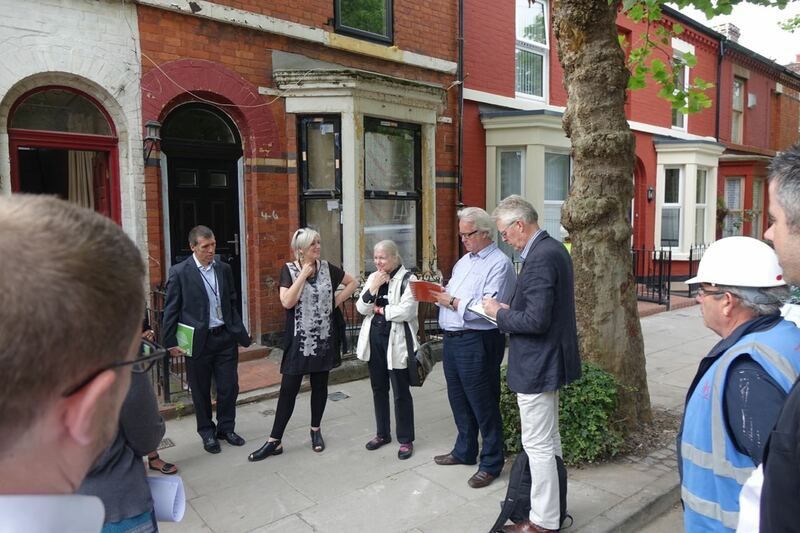 Co-ordinated by the Granby 4 Streets Commu- nity Land Trust working collaboratively with the team of partners that have come together over the last three years to begin creating the future of Granby 4 Streets. Some of the partners. 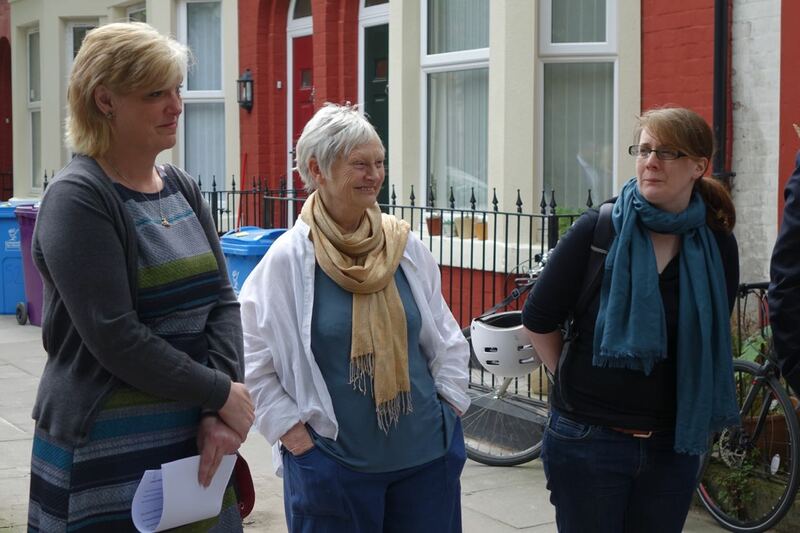 Councillor Ann O’Byrne, Deputy Mayor of Liverpool, Eleanor Lee of Granby 4 Streets and Marianne Heaslip of Terrace 21 Co-op. You’ll notice of course that we’re all talking about the 4 Streets. Though the award has picked out one of them, we ourselves love them all equally. 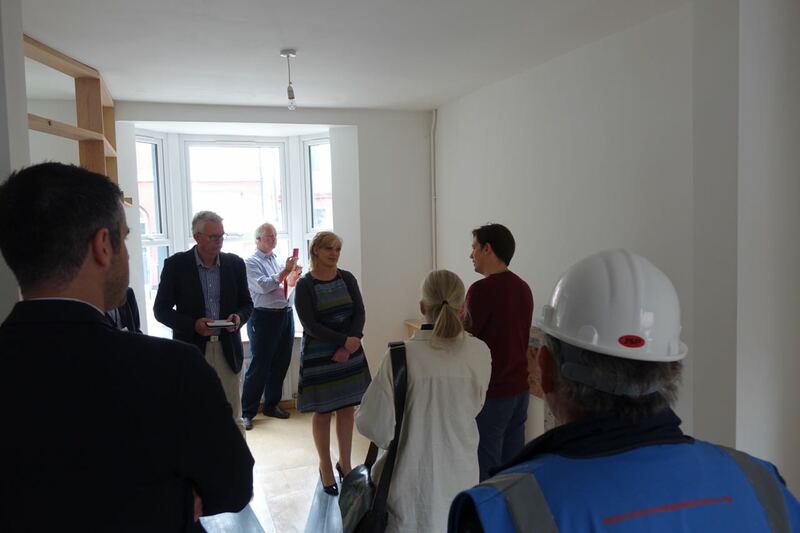 Tracey Gore of Steve Biko Housing even brought the discussion to the wider Granby area and the damage done over decades by racial prejudice and discrimination. “To observe a typical Street Market in action is to witness a degree of diversity and common human happiness with each other that no amount of conscious social engineering could approach. So people like living here and new people are moving in because they say they like the look and feel of the place and the activities happening. But none of this would have been possible if the urban planning that cleared the rest of the Granby area and destroyed most of its resident communities had been repeated in the 4 Streets. It’s remaining community preserved themselves and their streets through years of intelligent social, cultural and political actions. 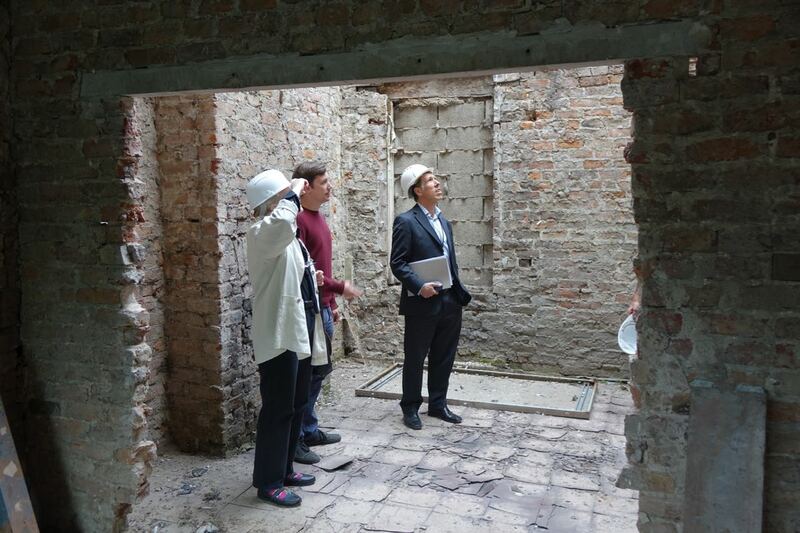 And the delicate work now beginning is to graft the new community of arriving families onto this one and therefore grow something entirely new, but based on a long and successful Granby tradition of welcome and renewal. 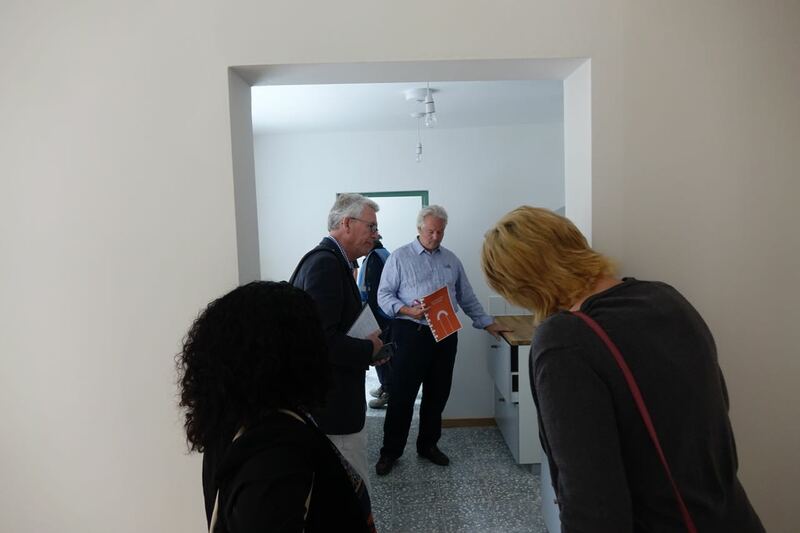 So having just completed the first of the Community Land Trust houses, and being close to finishing several others, obviously we had a look around. Led by Joe, from architects Assemble. Then Erika and I gathered the judges and everyone else together. For this group photograph on this great day. And if I can just step forward for a moment from the reporting and quoting I’ve been doing so far, I want to tell you how surprisingly emotional I found all of this. In the struggle and the working of these years we’ve seldom paused like this, all together, to signify and reflect on what we’ve done and will yet do. ‘Great Street?’ Houses being completed? Enterprises started up? 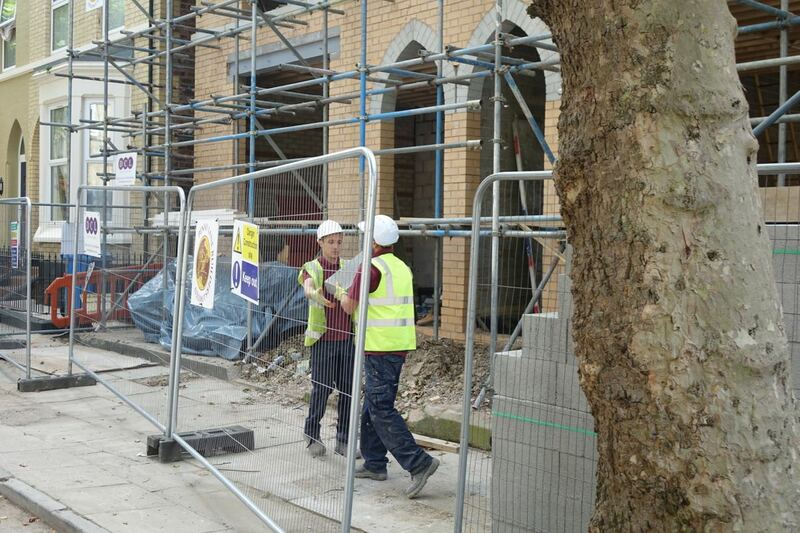 Builders all over the place? Who’d have thought? We showed the judges our Winter Garden idea. 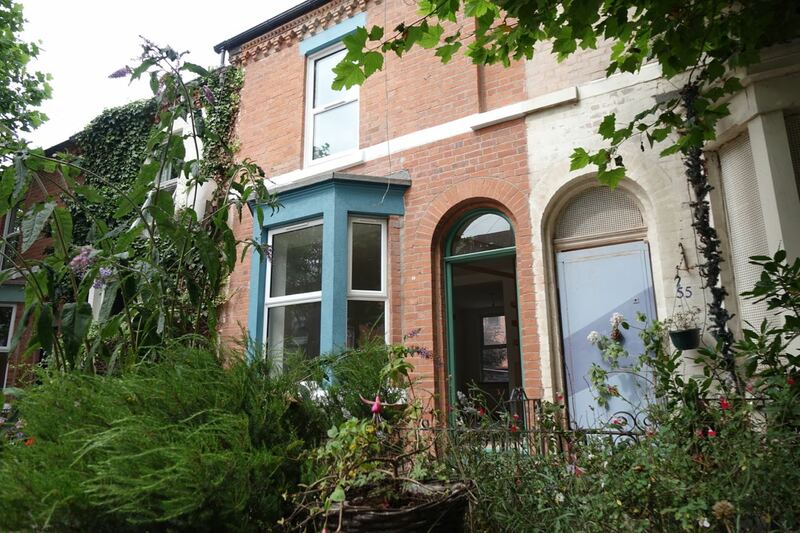 Crossed the road to a Liverpool Mutual Homes completion. 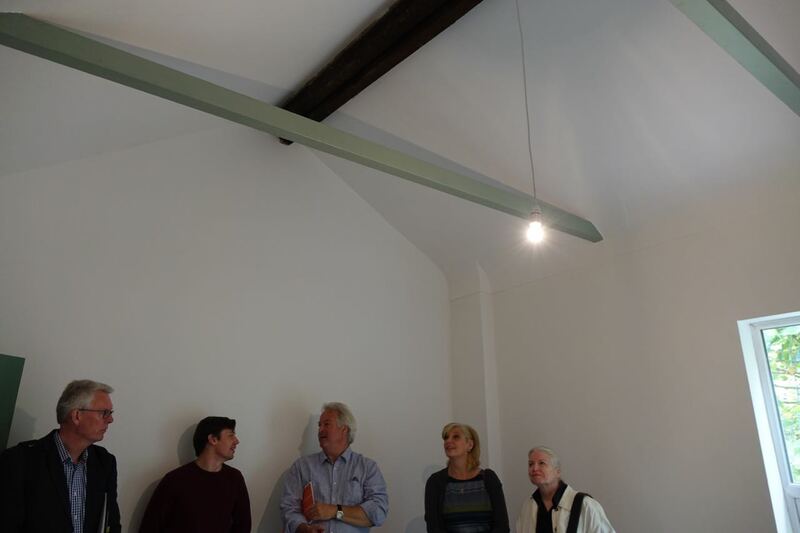 Then visited Assemble in their temporary new home. 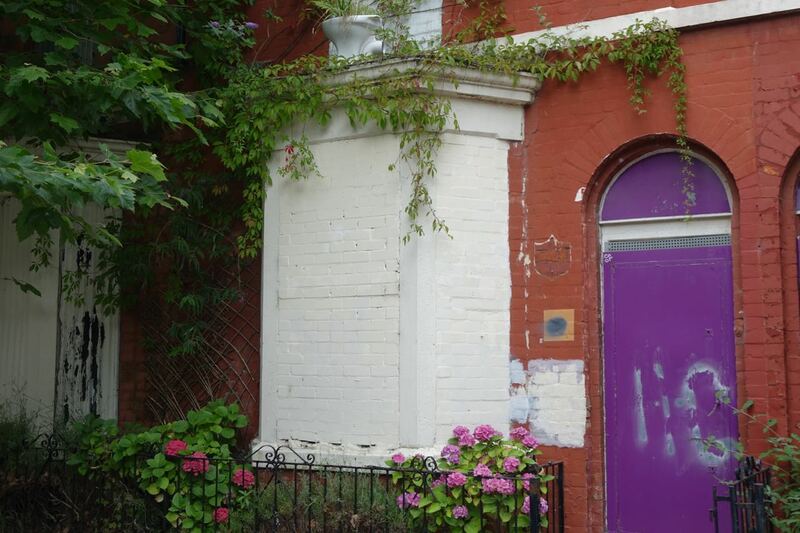 This is part of what the Community Land Trust is doing next. 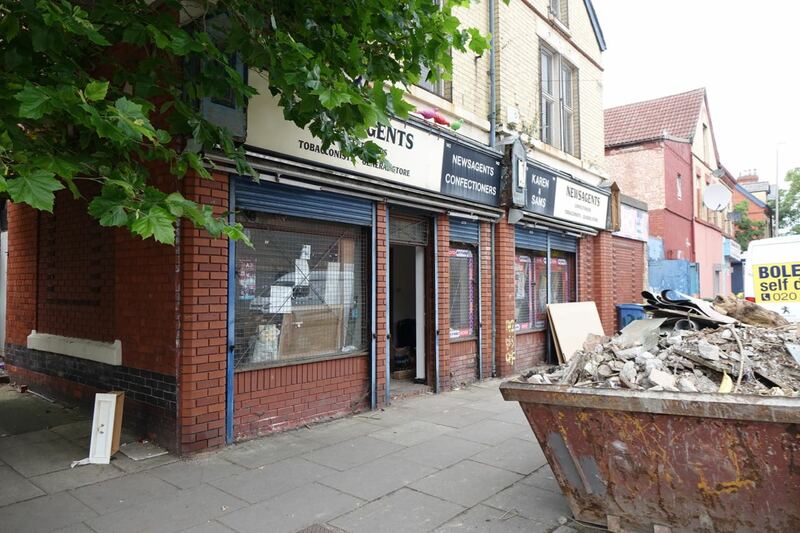 Our ‘Four Corners Project’ that will bring a new community gathering and market place back onto the corners of Granby Street and Cairns Street. For now, Lewis of Assemble explains, this one’s the Granby Workshop. 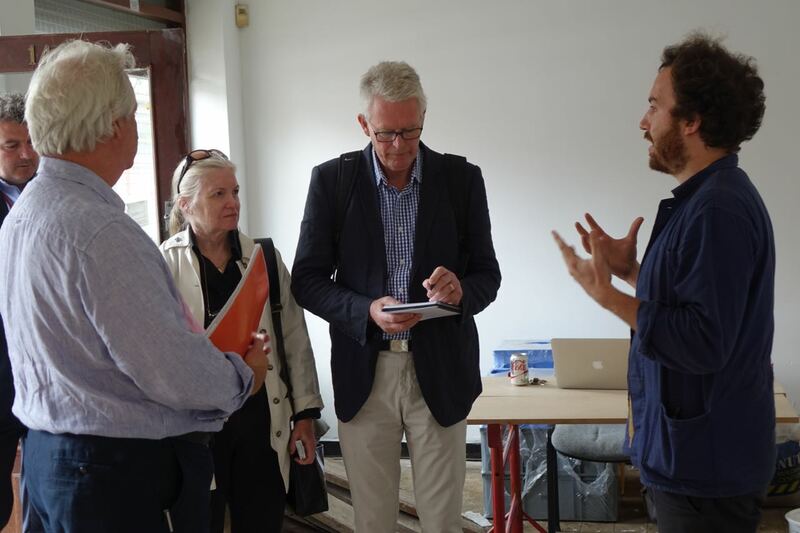 “This is a social enterprise project led by Assemble, the 4 Street’s architects and design collective. 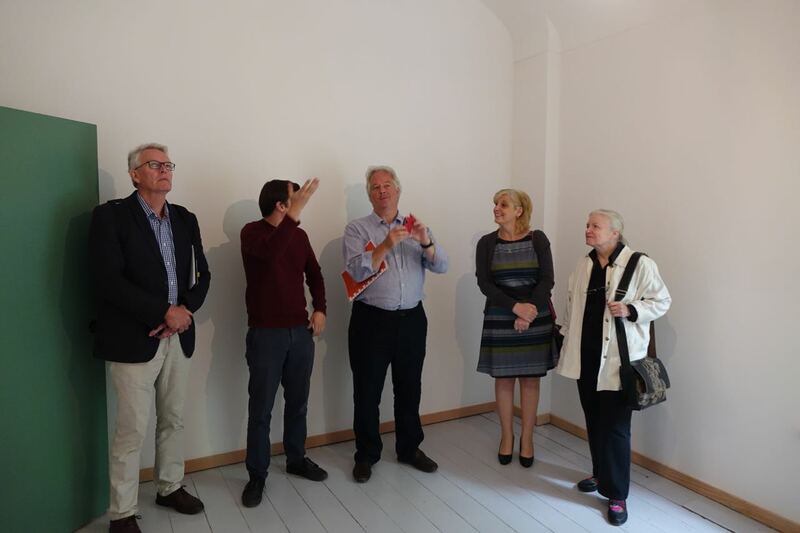 It aims to support the local culture of making, DIY and creative action – and will be making new products from re-cycling local building materials which would become commercially self-sustaining,. Next Steve Ross of Penny Lane Builders talked particularly about the delicate rebuilding they’re doing with LMH, of several collapsed houses. Like these in Jermyn Street. 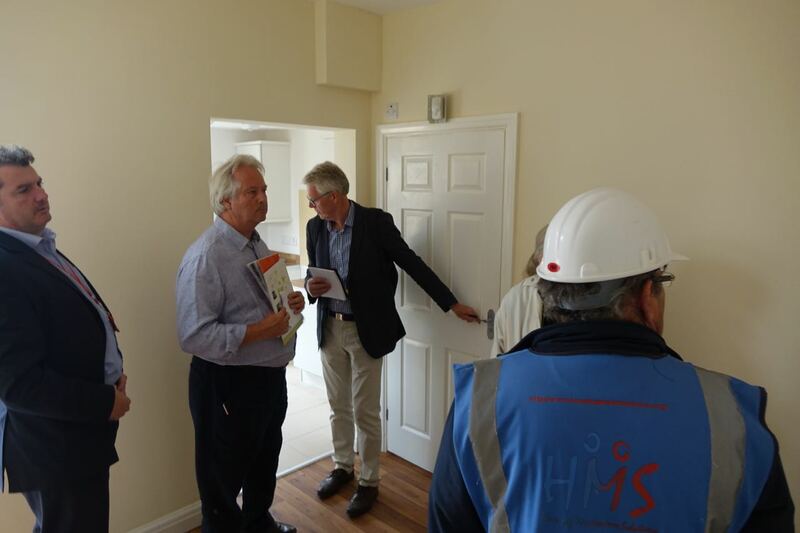 Also there we all went in a nearly completed four bedroom, three storey house just being completed by HMS builders. 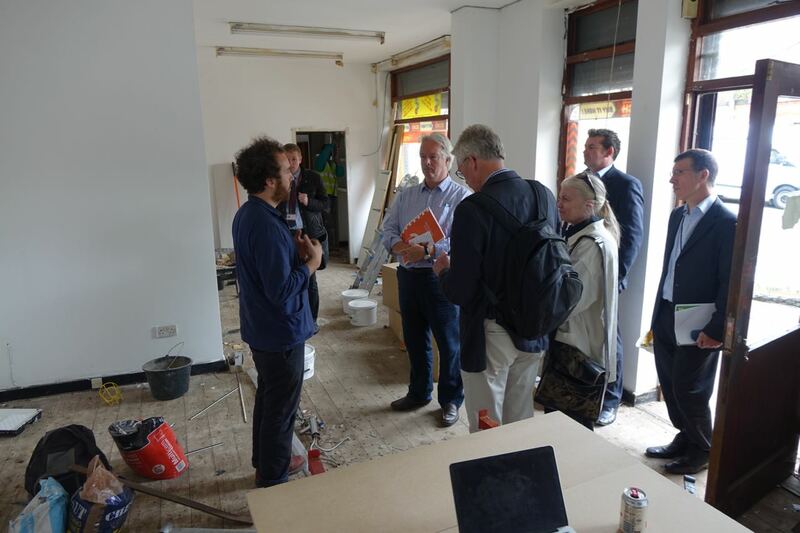 And finally round to Beaconsfield where Steve from Plus Dane talked the judges through their work all the way along here. For all of us, it’s been a journey of years. And today was a great and significant day for us all. ‘Great Street’ eh? Who’d have thought. 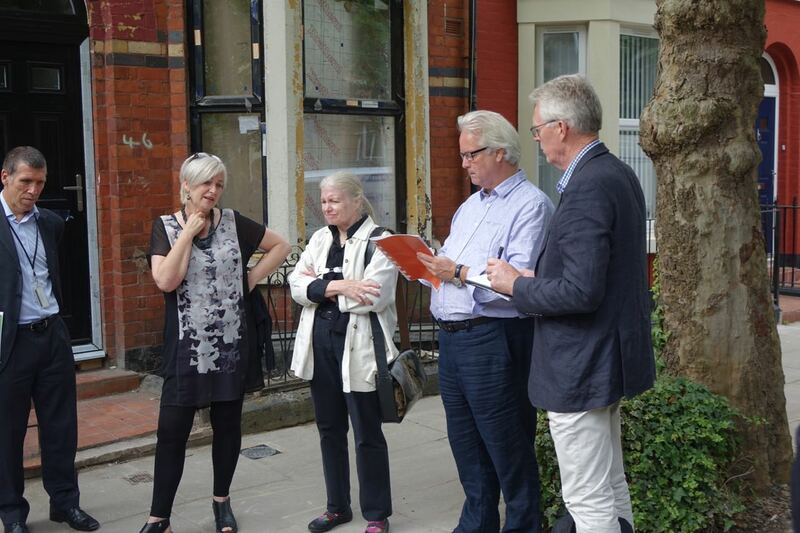 Big thanks to The Academy of Urbanism judges, Andrea Titterington, Geoff Haslam and Alistair Barr for spending the morning with us. 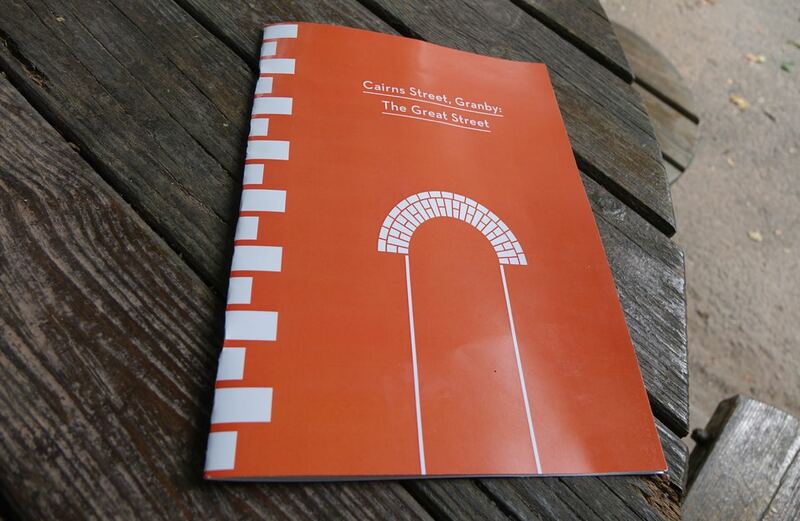 We’ll enjoy several months as a nominated ‘Great Street’ now before the awards in November. 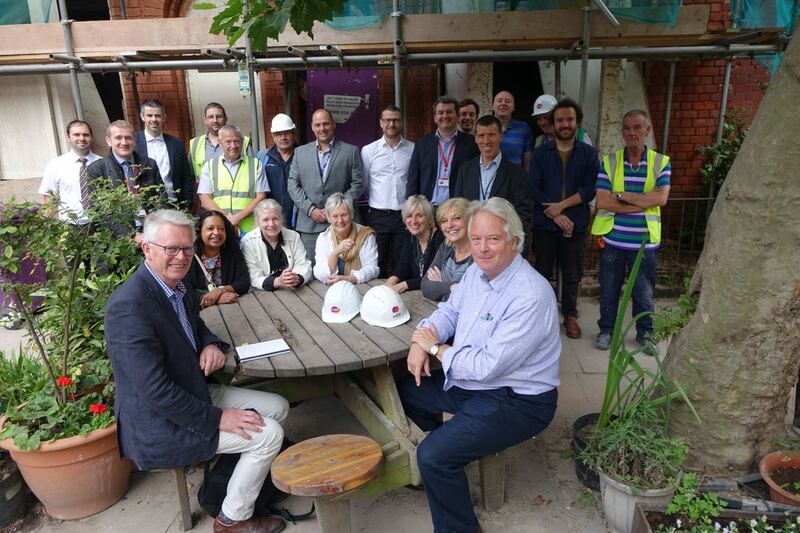 And thanks to everyone from all of the builders who helped with the day, including North West Construction, HMS and Penny Lane Builders. Also, to Rose Olive and Mark for the curry and the hospitality. 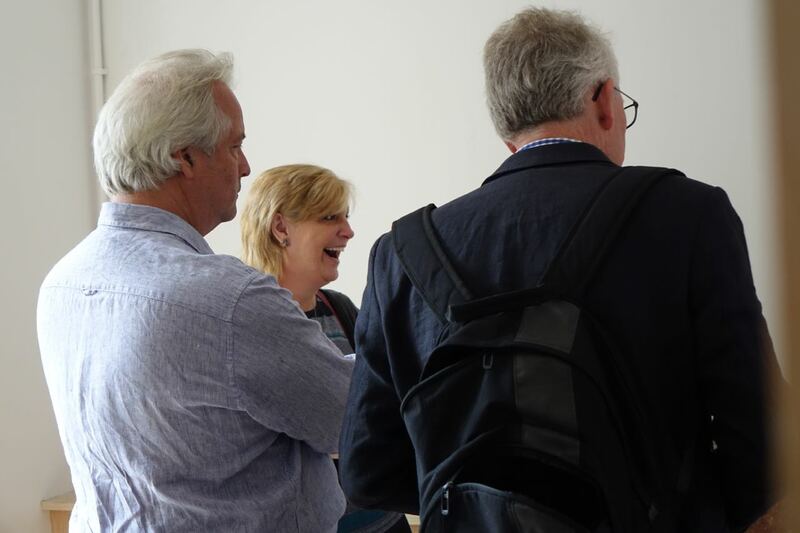 On behalf of the Academy of Urbanism, Alistair & Andrea I would like to thank you all for working so hard to bring together all of the stakeholders to meet us last week. 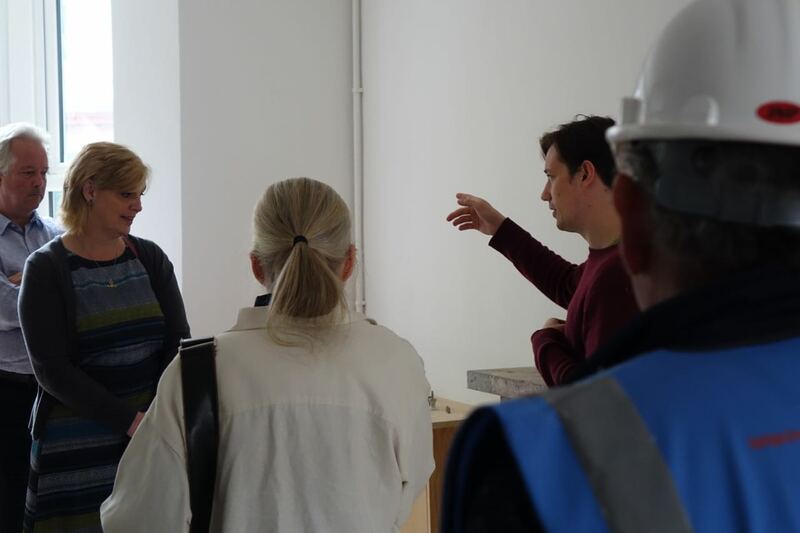 It was a very well-managed and carefully prepared visit that showed off what a fantastic project you are all engaged with. We would ask you to pass on our thanks to all who participated and to wish you all the best for the future and of course with the awards process. We will do our best to make sure that the great successes you have already achieved will be communicated to the voting members to give you the best chance of receiving the “Great Street 2016” award. I believe you can take great pride in being short-listed from over 70 nominations and (as you have been) celebrate and let the world know that you are being seriously considered for this prestigious award. You may be interested to know that a few years ago Hope Street won the award, so you are in good company. All the best for a dynamic and rewarding future. Thank you Geoff, we all really enjoyed the day and the fact that the three of you were so clearly interested in what everyone in the 4 Streets have been doing and are trying to achieve. I will certainly pass on your thanks and appreciation to the rest of our partners. We literally couldn’t all be doing this without each other.